Home / seasons / The Top Health Benefits of Eating Soup? The chill of Fall is in the air and the rainy weather makes you want to snuggle down with a book to read and later have a mug of hot soap to complete your afternoon. So what is it about soup that goes so well with this picture and also what makes soup such a healthy choice? One benefit that is not health related is the fact that you can throw a variety of leftovers and other ingredients into a slow cooker, leave for work and then come home to a delicious meal. That definitely works for me! The fact that you can use fresh, low-fat and low salt ingredients can make some of the healthiest soups. Cooking these fresh vegetables, mushrooms and meat and poultry directly in your soup conserves more of their natural nutrients and vitamins than stewing or frying. Soups are filling and also have fewer calories than eating a regular main dish say of meat and potatoes. 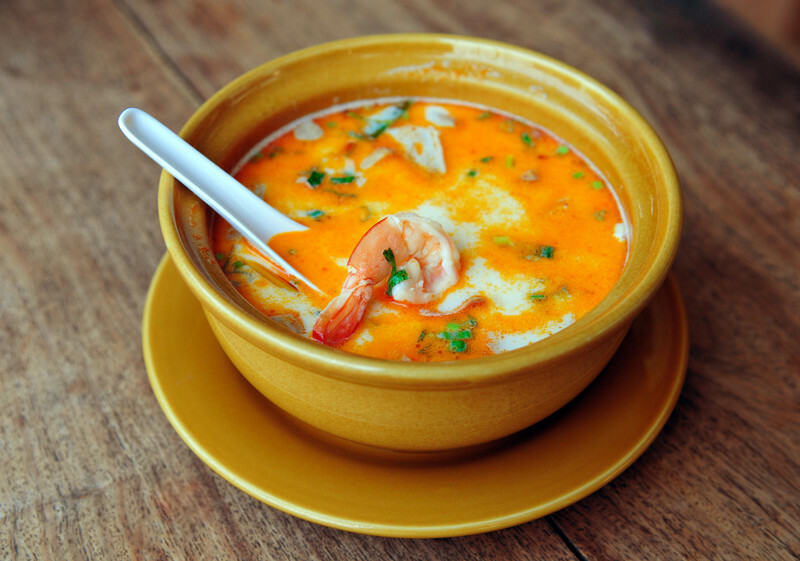 Soups also contribute to your body getting enough water to your system. And the old tales of Chicken Soup for cold or flu apparently does have health benefits as fresh chicken soup has some anti-inflammatory benefits and helps warm you up. As the saying goes~ it “vouldn’t” hurt. You can make your soups as rich in vitamins as you want. You can make all veggies soups with beans for protein and fiber to make sure you get all the vegetables that you need. You can use lean meats to make it fewer calories. Plus soaps are very economical for your wallet! Some of my soup traditions are to take that turkey carcass and make a big pot of turkey vegetable soup after Thanksgiving so indeed that whole bird is used. Also using a ham bone to make some split pea soup. A company that I discovered when I was at a craft show that sells some great soup mixes online is Frontier Soups and you can check out them here. They sell packets of wonderful soups with dried beans and some other ingredients and you add fresh veggies and meat. I highly recommend their 11 Bean Soup Mix. And of course you can get some great inspiration on Pinterest here. So what’s in your soup pot? Your picture looks so yummy. Love soup, especially this time of year. Chicken soup is my favorite. ME too – need to make some soon!